Toddlers are busy little people! Getting little ones to sit still can be nearly impossible. They’re always exploring the world around them, which is a good thing. However, sometimes they need some structured downtime. That’s where craft time can come in handy. Crafts are great for toddlers for several reasons. Being creative can help toddlers develop longer attention spans. Many crafts can help toddlers develop their hand-eye coordination. Little ones can also benefit from learning to follow simple directions. Here are some fun craft ideas your toddler can do (with supervision). Toddlers are fascinated by puppets. Creating their own puppets is easy for toddlers to do, and it’s a lot of fun. All you will need are some craft sticks, colored paper, safety scissors, crayons/markers and glue sticks. Start by helping your toddler cut animal shapes out of the colored paper – cardstock, construction paper, or colored typing paper will work. They can use markers or crayons to draw faces and other details on the paper. Use the glue stick to adhere the craft stick to the back of the shape. Let the glue dry, and your little one’s ready to put on a puppet show. If your toddler wants to make more elaborate puppets, try cutting the animal shapes out of craft foam. Glue on a pom pom for the nose, yarn for hair/mane, and add some google eyes. Kids love finger painting. Parents don’t always enjoy letting their little ones finger paint, though, because it’s so messy. Even if the finger paints are not toxic, parents may still be a little uneasy. 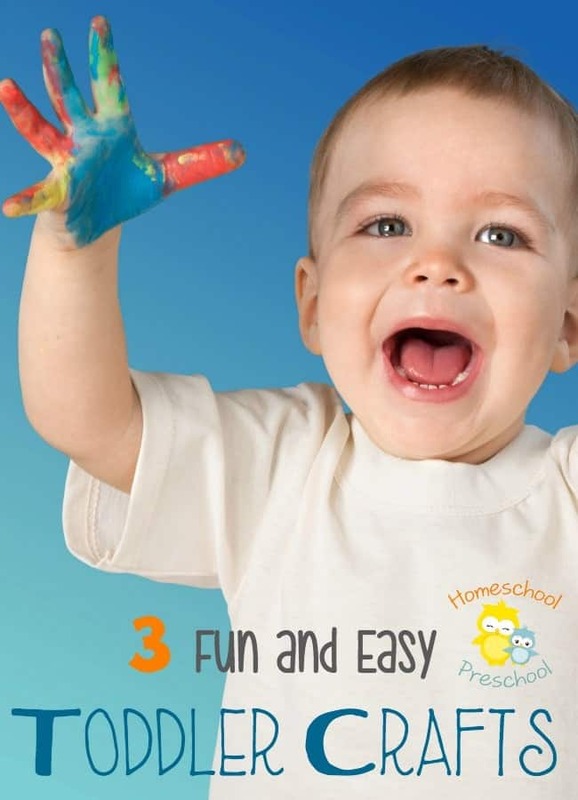 So, how can you introduce young kids to finger painting without the worry? Let your toddlers explore painting with pudding or whipped cream. With just one serving of plain vanilla pudding or whipped cream, you can make your kids a variety of ‘paint’ colors. Divide the pudding or whipped cream into small portions. Add food coloring to each bowl to create various shades. Paper plates make a simple canvas for their masterpieces. When they’re done painting, they can lick their fingers with no worries. Another easy crafts for toddlers is making placemats. Contact paper placemats are very easy to make. Have your toddler cut shapes out of construction paper and glue them onto a separate piece of construction paper with a glue stick. They can use markers, stickers, and glitter to add more decorations to their page. When they’re done decorating, place the art on a piece of contact paper, sticky side up. Then, place another sheet of contact paper on top, sticky side down to seal the placemat. Toddlers will love making placemats for the entire family. However, as attention spans may be short, this may take a few days. Making crafts can help toddlers develop important motor skills while keeping them busy for a little bit. Whether you need an activity for a rainy day or your toddler’s feeling creative, take hold of this opportunity to let him focus his imagination into creating something you can both enjoy.